PhysioLeeds/Fit4Work ran a free training course on the 5th September 2017 which was attended by fifteen residents from the community of Cookridge, near Horsforth in Leeds. 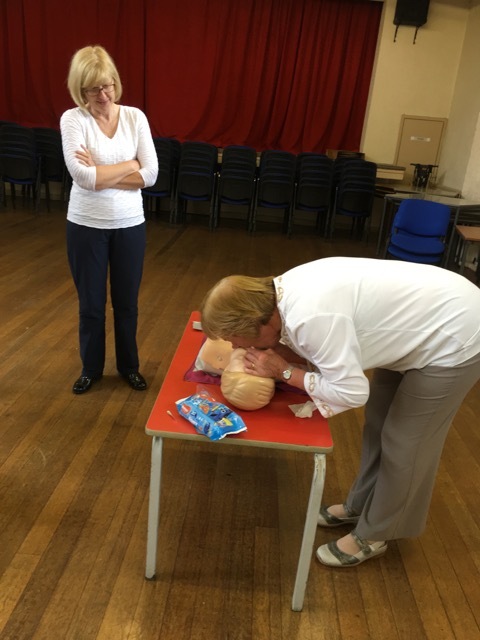 Angela Hinton, founder of Fit4Work and owner of the PhysioLeeds, demonstrated what to do when dealing with a non breathing casualty. 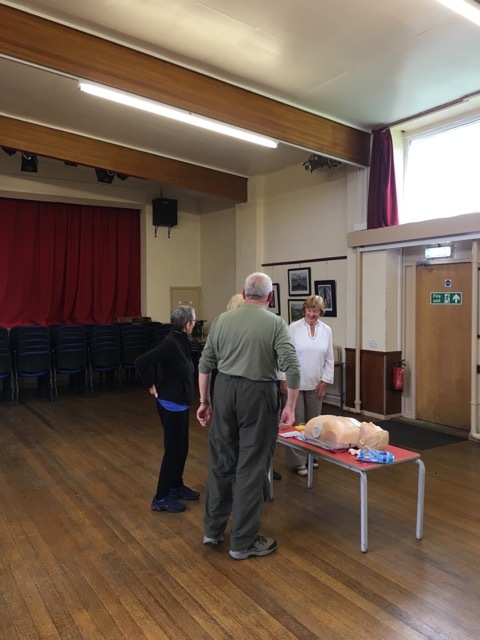 The residents of Cookridge learned how to deliver CPR (Cardiopulmonary Resuscitation) and also how to use the AED machine (Automated External Defibrilator) which is fixed to the Cookridge Village Hall wall. 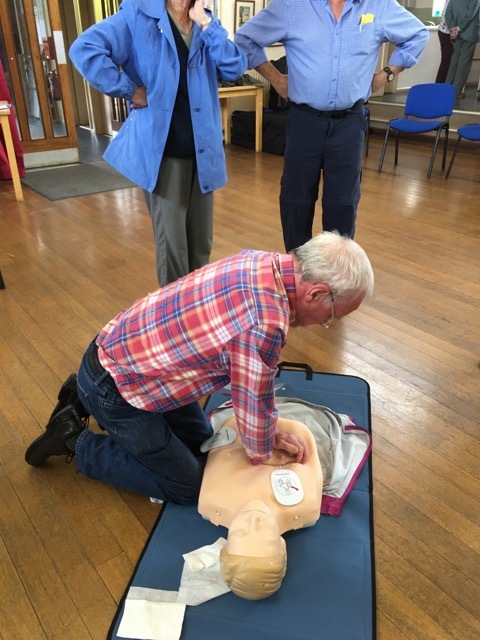 Participants enjoyed their afternoon and were grateful to acquire these valuable and potentially life-saving skills. 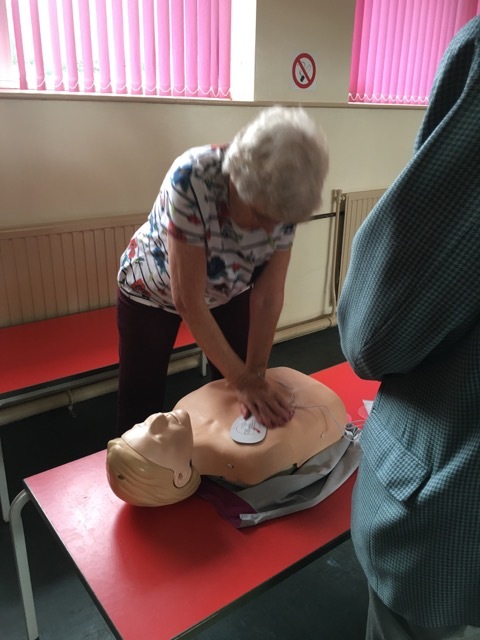 Angela is wanting to help keep the residents of Cookridge and Bramhope to stay safe and live healthier lives, and is therefore happy to deliver this training again free of charge. If you’re interested then please contact Angela Hinton online or via her email address – enquiries@fit4work.co.uk. Please note: This training can only be delivered FREE in the local communities of Cookridge and Bramhope. If you’re interested in arranging this training outside of our local community, please contact us for more info. Knowing the whereabouts of Automated External Defibrillators (AED’s) near you could be life-saving knowledge well worth acquiring!